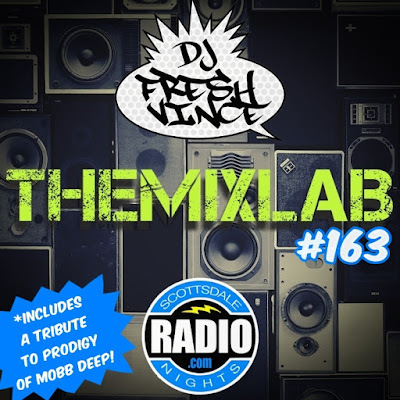 *Special Edition: First Half of the mix is in tribute to Prodigy of Mobb Deep! R.I.P. It's a mixtape, it's backyard bbq, it's a block party...it's just a dope mix with all sorts of good tunes to vibe to! Join me in collaboration of Scottsdale Nights Radio as I spin Throwbacks, Remixes, Hip-Hop, Funk, House, Soul, today's Club Hits and sometimes a little nostaligic classics! It’s time to break out the shorts, ice chest, BBQ grill, and of course, the stereo! Summertime is upon us and I am adding another soundtrack to the season. This new mixtape is the sequel to last year’s Summer mix. 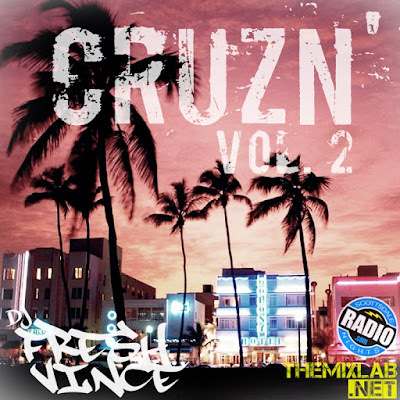 You’re gonna enjoy 40-plus tracks in this set…if you loved CRUZN’ Vol. 1, you’re definitely gonna love Vol. 2! It’s packed with little bit of everything…Old School, New School, Funk, House, Hip-Hop, R&B, Freestyle and Remixes. Hope this helps with the heat while listening to this at home, at a pool party or while cruising on the road. Peace! 28. Dr. Dre ft. Snoop Dogg - Still D.R.E.